Ark Royale Luck of the Irish. 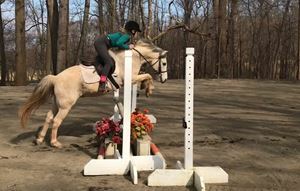 Registered 2007 Welsh grey gelding. 12-3 1/2 hands. 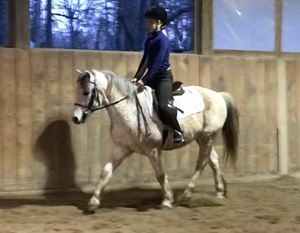 Has been under saddle for only a year. Jumping courses. Nice mover.